7th Oxhey Methodist Guides visited Oxhey Library as part of their Centenary celebrations. 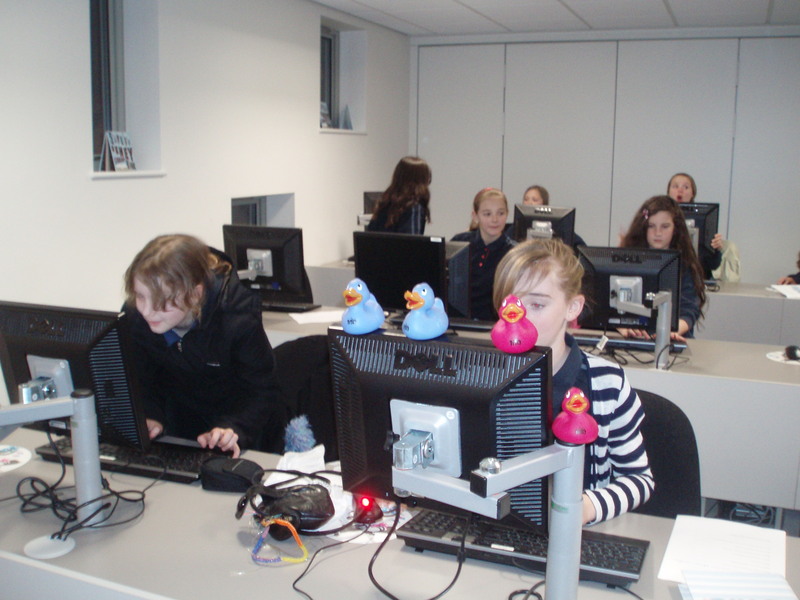 They spent 2 meetings in the library’s new computer suite looking at various websites, including the Girl Guides website and the Guiding Centenary website. The girls bought their centenary ducks with them, one of their challenges of the year is take your duck to as many different activities with you as you can!